GET CERTIFIED IN ONE OF THE MOST EXCITING AND USEFUL ASSESSMENTS TO COME ALONG IN YEARS! There is potential for risk in almost everything we do; every decision we make at work or at home has some level of risk associated with it. The Risk Type Compass helps you to understand the different ways an individual or a team may approach risk and the subsequent impact on decision-making. Based primarily on personality research, the Risk Type Compass® uses aspects of an individual’s temperament to place them into one of eight risk propensity categories, known as Risk Types. An individual’s Risk Type will give an indication of how that individual perceives risk, how much uncertainty they can cope with, and how they will react when unexpected events or outcomes occur. The applications are wide reaching, including working on individual, leadership and team development, understanding how executive boards manage organizational risk, and recognizing the use of risk in the financial and auditing industries, where risk is a part of their every day. Investors have also found that using this assessment with their clients helps them to better recommend investment portfolios that are within their client’s financial risk comfort zone. The Risk Type Compass® assigns people to one of eight distinctive Risk Types. It facilitates planning, research and discussion about risk awareness, risk tolerance, and decision-making. The assessment identifies the potential benefits and challenges faced by different Risk Types in different roles. The Risk Type Compass® can be used across industries and from C-Suite to shop floor. It has a particular relevance to teams where group dynamics and the ‘Risky Shift’ Phenomenon can be a threat to controlled decision-making. In survey mode, it captures the wider risk landscape and the contribution made by Risk Types to organizational culture. The Risk Type Compass® is the result of a three-year research program building on the robust foundations of cutting edge personality research and assessment practices. Factor analysis of risk-related FFM themes generates the eight Risk Types that are very evenly distributed throughout the population. In the past, management of risk has focused heavily on procedures, regulation and legislation rather than on the risk-taking nature of the individuals involved. The Risk Type Compass® identifies critical individual differences that allow managers to maximize potential and balance the contributions of both risk-takers and more risk averse individuals; minimizing risk while maximizing opportunity. 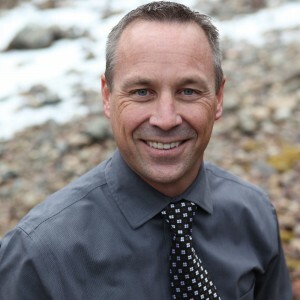 I’m Drew Bird and I’m the Founder and Risk Type Compass Master Trainer at ClearPoint Leadership Strategies. One of my primary goals is to help coaches and consultants become an authority in the application of these tools and assessments. I have a broad range of practical experience as an established leadership and organization development practitioner, as well as hands-on senior leadership experience (so yes, I walk the walk and talk the talk!). I look forward to working with you! If you have any questions, drop me a line or Book Your Free No Obligation Discovery Call Now! Becoming certified in this valuable assessment tool is simple. You will complete online eLearning pre-work and a one-day, 7-hour online instructor-led learning session that will prepare you to take and pass your certification exam. Once complete, you will be certified to administer and debrief the Risk Type Compass Assessment. This one-day virtual certification training program uses the very latest Adobe Connect web technology to deliver a highly interactive, full two-way learning experience. We have a maximum of 8 people in each certification class, so you are guaranteed to get a personalized experience that answers your individual questions. We also offer unlimited additional support post-course as you integrate the Risk Type Compass into your business or organization. This course qualifies for 3.83 units of ICF Core Competency Development credits and 4.85 units of Resource Development Credits. Got questions about the Risk Type Compass assessment, or certification process? Drop us a line! The key to not only getting your Risk Type Compass® Certification, but also successfully integrating this new knowledge and skill set into your practice is working with the right trainer – someone who has practical experience using this tool in organizations of all sizes and who has a background in leadership development, as well as, the academic grounding to help you understand both the real world application and the science behind this powerful tool. Then our Risk Type Compass Certification course is for you! Attend Risk Type Compass Certification from anywhere in the world with full video conferencing and live instruction from Drew. Click HERE to see upcoming course dates, or CONTACT US for more information.